KeepEATreal is a nutrition and lifestyle consultancy established in 2015 to meet the growing demand from consumers for healthier food in the Middle East. We noticed that while there were many dietitians who offer one-on-one counseling, few do so at a business level. As the authority on nutrition and wellness, KeepEATreal supports the food, healthcare, hospitality, and education industries, working together to create healthier food initiatives for their customers, clients and students. We are based in Dubai, UAE, but work with clients, big and small, across the world. Our services include recipe development, marketing communications, nutrition analysis, food and health policy analysis and strategy development. Please see our services and projects pages to learn more about our work. KeepEATreal loves good food. It’s embedded in our culture; it’s entrenched in our family roots. Food is at the centre of every occasion, holiday and party in our homes. But we want to promote the benefits of healthy food; food that nourishes; food that boosts overall wellbeing. Most importantly, we want to show how eating healthy food should never compromise on taste. Help improve the F&B industry to attain even higher standards of nutrition. Support the food industry in providing nutritious options without compromising flavour. Increase the demand for healthy and wholesome F&B. Educate consumers by sharing information about the connection between food and nutrition-related diseases. Empower communities to make smarter more informed food choices. Born and raised in the UAE, Nadine graduated from McGill University, Canada in 2005, with a Bachelor of Science in Nutritional Science. She moved back home to the UAE to build on her career in nutritional services, offering individual counseling and bespoke dietary plans. In her commitment to helping nourish her clients’ mind, body and soul, Nadine is also a certified mBIT and NLP Master Coach as well as an NLP, Time Line Therapy™ and Hypnotherapist Master Practitioner. She is KeepEATreal’s perfectionist and the company’s level head. 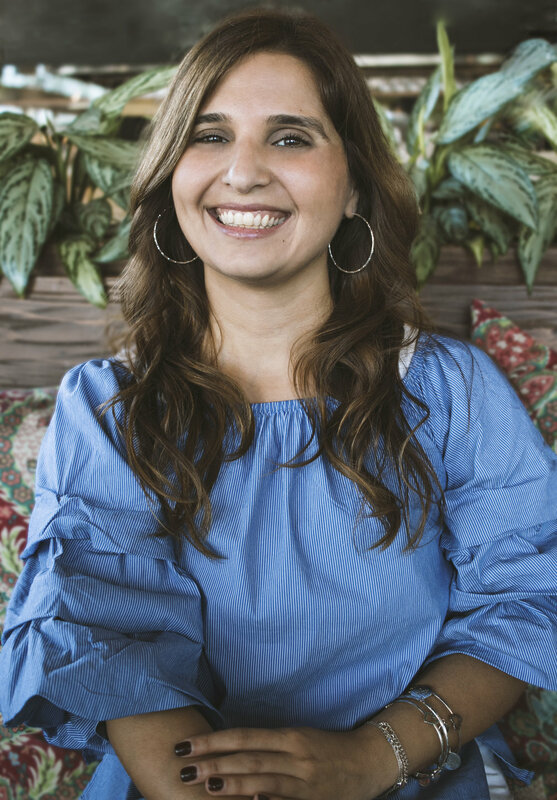 After graduating from the American University of Beirut in 2008, with a Bachelor of Science in Nutrition and Dietetics, Maria moved to the UAE to pursue her career in nutrition. She has since worked in different areas from individual counselling to community work, as well as a full-time role in the foodservice industry. Maria is a certified Eating Disorder specialist, where she counsels and helps many individuals suffering from anorexia, bulimia and other related eating disorders. She is the creative mind behind KeepEATreal and its long-term visionary.